Home » A.R Rehaman » Balakrishna » boyapati Srinu » Gossips » Legend. » N.T.R Arts » Nandamuri Kalyan Ram » Simha » Kalyan Ram to Produce Balakrishna's 100 th film ???? 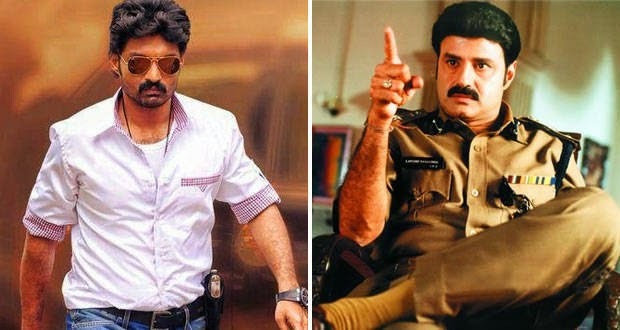 Kalyan Ram to Produce Balakrishna's 100 th film ???? Nandamuri kalyan ram is going to produce Nandamuri Balakrishna's 100 th film . Presently balakrishna was very busy with politics as he was became a M.L.A of the Hindupuram Constituency,even though he was speed up his movies shoot of lion and upcoming movie(99 th ) under the direction of Srivas ,The movie was Titled as 'Dictator' by fans .